Win Tickets to Air Show San Diego! The annual AirShow San Diego at Gillespie Field in El Cajon commemorates the 70th anniversary of the end of World War II and will feature fighter aircraft from the era. 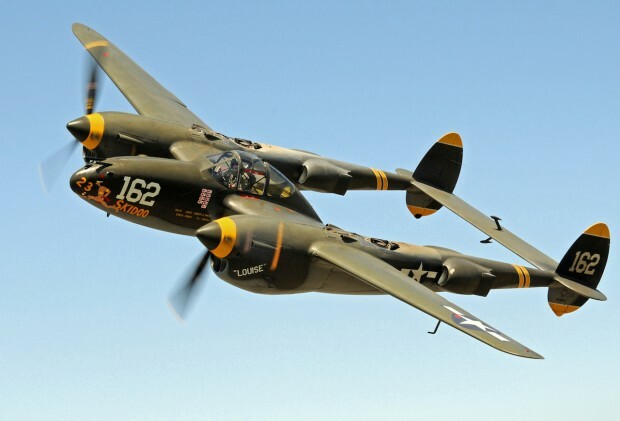 In honor of American veterans who won the “Ultimate Victory” in 1945, the show will include a Lockheed P-38 Lightning “23 Skidoo” — an aircraft once dubbed the “fork-tailed devil” — a North American B-25 Mitchell bomber, North American P-51 Mustangs and a Vought F4U Corsair, which featured distinctive inverted gull wings. The annual airshow has thrilled families and aviation buffs for nearly two decades, and is put on annually by Air Group One, formerly known as Wings Over Gillespie. Gates open from 9 a.m. to 5 p.m. on Saturday, June 20 and Sunday, June 21. In addition to the World War II and other aircraft, aerobatic pilot Julie Clarke, the Red Eagles formation flight team and longtime aerobatic favorite John Collver — in “Wardog,” his North American T6-SNJ Texan — will perform. There will also be classic hot rods and show cars, a free kids’ zone, educational displays, food and beverages, a beer area, drawings and live music. Discounted, non-refundable tickets are available online at Air Show One’s website for $16 a day for adults and $12 a day for children ages 7-11 and seniors 65 and older. Children 6 years old and younger, World War II and Korean War veterans and wounded warriors will receive free admission. Multi-day and discounted group packages for active duty and retired military personnel can also be bought online. Full price tickets can also be bought at the gate on the days of the event for $20 for adults and $15 for children ages 7-11 and seniors 65 and older. There will be a $5 parking fee and free shuttle service to and from the Gillespie Field Trolley Station and the main gate. For more information, visit ag1caf.org. 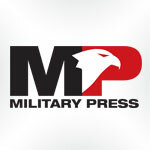 As a proud sponsor of Air Show San Diego, The Military Press is giving away 4 family 4-packs of tickets to the show June 20 & 21 at Gillespie Field in El Cajon. Our contest has ended. Congratulations to our winners!